Vegetable greenhouse is a kind of frame-covered structure with excellent heat preservation performance, which makes people can eat out-of-season vegetables. Generally, vegetable greenhouses use bamboo or steel structure skeleton, covered with one or more layers of insulation plastic film, thus forming a greenhouse space. The outer membrane prevents the carbon dioxide from the inner vegetable growth and makes the greenhouse have a good heat preservation effect. The construction process of vegetable greenhouses is relatively simple and the technology is relatively fine. Vegetable supply in China is mainly vegetable greenhouse planting, therefore, the quality of vegetable greenhouse construction and design of structural samples directly affect the yield and quality of vegetables in China. 1. Theme design: mainly set the length, width and height of vegetable greenhouse, according to the planting area to design and manufacture. The ordinary type of greenhouse in China is about 120 square meters. 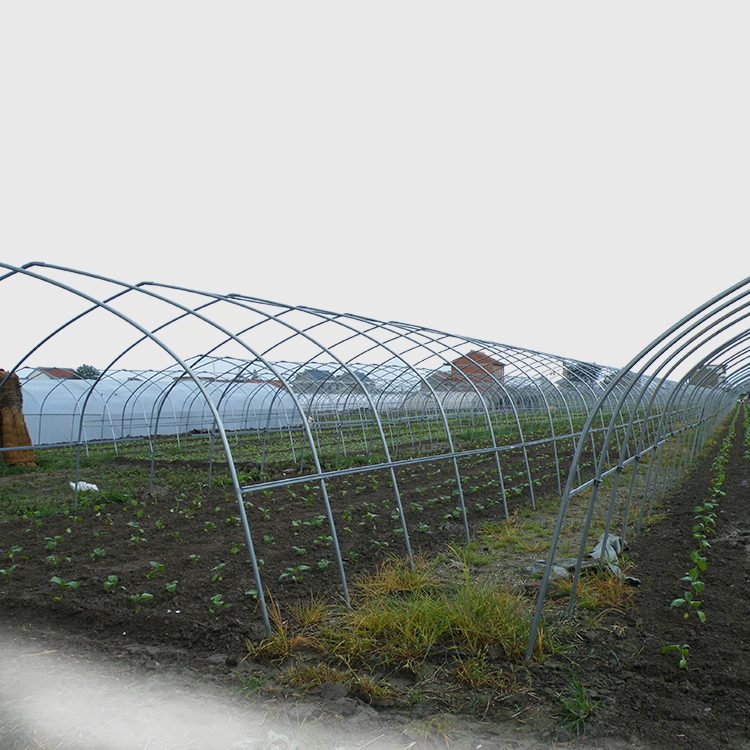 2. purchase materials: the construction of vegetable greenhouses can be divided into column type and steel frame type. All steel frames welded by steel frame must be welded and reinforced. The pillar type vegetable greenhouses should be made of cement columns or bamboo. The steel frame greenhouse has a long service life and can be used for up to 25 years. The column type greenhouse can be used for 3-5 years. 3. Matrix construction: Vegetable greenhouse with column type should build weighing back wall with wall width not less than 50 cm. And set up a dedicated vent. 4. Arching: The vegetable greenhouse with steel frame does not need to be built by arch, and the vegetable greenhouse with bamboo pole or column should be built by arch. A uniform bamboo pole with a diameter of more than 2 cm shall be used for erection. The big head of the bamboo pole shall be inserted into the back wall and the two ends shall be fixed. Keep the arch consistent and highly balanced. And support the column at the highest point of the arch. 5. Plastic film laying: to choose a good transparent plastic film for laying, no drip film or purple light Mo as the first choice. Plastic is buried on both sides of the greenhouse. The buried depth is not less than 20 cm. First, the surface of the scaffold is smooth, the film is not easy to damage, and the service life of the greenhouse film is prolonged. Two: Convenient transportation and installation, through the bending machine, the height of the shed, radian, shoulder height, angle can be arbitrary bending. Three: Vegetable greenhouse construction shelf pipe rubber and plastic plugs at both ends, using adhesive plugging and sealing, completely covering the metal surface, so that the underground part will never rust. Fourth: No pillars are needed in the middle of the scaffolding, which greatly increases the cultivation area, saves labor force, can be operated mechanically and increases work efficiency. Five: small investment, the scale of the factory can be large or small, factory can be 200 square meters, raw materials in cities above county level. Sixth: High production efficiency, according to the vegetable greenhouse construction shed span, wall thickness can be arbitrarily adjusted, three people per shift production of 6000 meters. Seven: the cost is low, according to the span of the shed, the size and the size of the steel pipe are different. Eight: recoverable and reused, and 1/3 of the investment can be recovered.